Going non-traditional doesn't have to mean sacrificing the best part of the wedding day: Celebrating your love as a couple. I've shot weddings with over 500 people, 10 person backyard ceremonies, and 2 person (plus me) destination elopements, but what I've gleaned from being an intimate observer of each and every wedding I've shot is this: The best wedding day that you can plan is one that reflects you as a couple in love. Take the people you love with you! Moira loves her family and wanted them to be there with her on her wedding day, even if she was hundreds of miles away from them. She "stole" her baby nephew's yellow teething ring (which she later matched with the yellow flowers of her bouquet), and brought along a gorgeous vintage locket with her favorite black and white photos of her parents nestled inside. Call those select special someones who are "it" for you, their joy will make yours that much stronger! Moira called her sister and baby nephew, introducing Alex as "Uncle Allie" for the first time. Moira's best friend called after receiving a photo and text that said "We did it!" All that I could hear was a continuous scream of surprise and excitement coming through the phone. Celebrate locally with wedding-y moments. Since they eloped to one of the cities I've lived in, and dearly love, I had the privilege of playing both photographer and tour guide. Moira and Alex are adventurous and wanted to make the most of both their time in New Orleans and their wedding day. 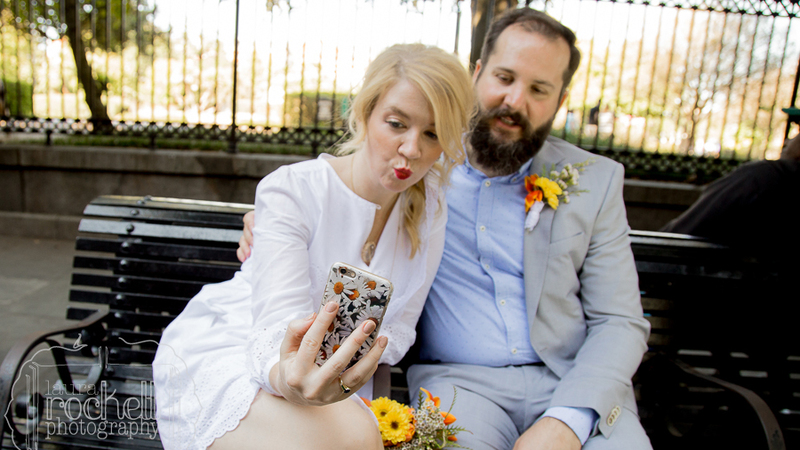 They found local florist Tommy's Florist on the day of their union, got hitched at historic Algiers courthouse, and wanted to celebrate in line with the culture of the city they were in. I got to take them to some of my favorite parts of town. 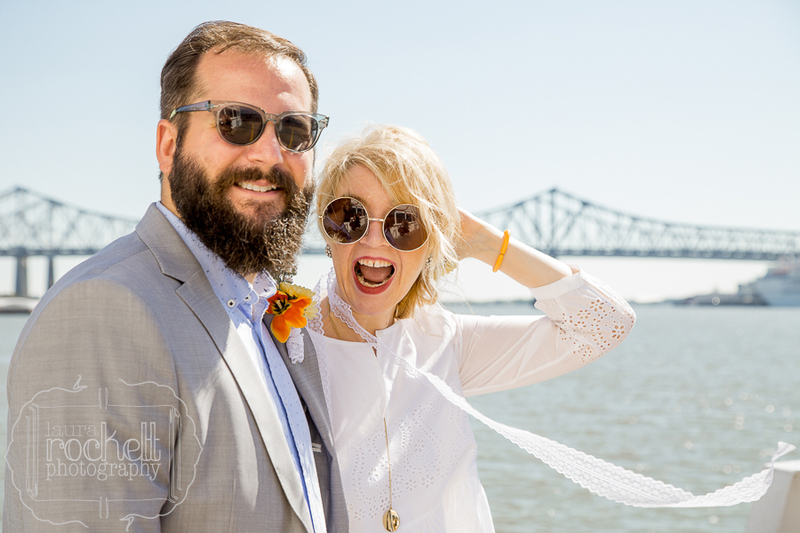 They experienced the Algier's ferry, to-go drinks in the Marigny, wedding cake at Café Envie, and pre-dinner toasting at the Hotel Monteleone's Carousel Bar.